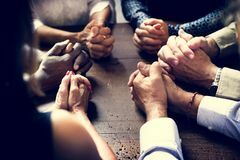 To help us hold each other in prayer throughout the year, we have a schedule for every congregation to pray for every other congregation as the year progresses. All confessing members of the RCA are eligible to serve on the General Synod's commissions, boards and agencies. See brief descriptions here. This training is for pastors or chaplains who were unable to attend the first boundaries training in fall of 2018. This training is mandatory for classis ministers and chaplains. We are compiling info on how much congregations in classis are paying for music leadership (organists, choir directors, accompaniests, other musicians, etc.) If you are graciously willing to share such information, please use THIS FORM. Info and rosters for delegates to the General Synod and the Regional Synod of the Mid-Atlantics. The Classis requires a background screening of our ministers, students, and officers prior to the commencement of their service or employment. Go here to find out more or to initiate your screening. Specialized Ministers, please fill out the form below and return to the Pastoral Care Committee annually by March 1st describing your current ministry position. Record retention, tax exemption, insurance, etc.